Glenn F. Pearson, 65, of Orange died unexpectedly on October 2, 2018 at Yale-St Raphael Campus. He was the husband of Patricia (Trish) Pearson and proud father of Patrick Pearson. Born in Alexandria, VA to the late Robert and Mary Jane Pearson, Glenn’s early childhood was spent in Europe where his father was stationed. His school years were spent in Vienna, VA where he met, Trish, “the love of his life and his reason for living” at age 16. They were married and moved to Connecticut to finish college, and remained there for the next 45 years. A graduate of the University of New Haven, after a brief career in the insurance industry, Glenn followed his passion for automobiles and opened his first service station at Derby Avenue and the Boulevard in 1978. He went on to have a successful career as one of the largest Mobil station dealers in the New Haven area. His flagship station was Amity Mobil which he owned and operated for over 30 years. A true patriot, Glenn served in the National Guard and Coast Guard Reserves for many years. 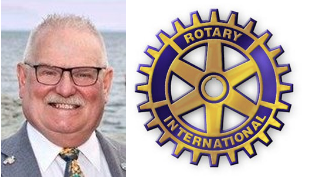 Besides his family, Glenn’s other passion was Rotary International where he served in many positions including club President, Treasurer, chief lobster cooker and at the District Level as the District Managed Grants Chair. Glenn was the consummate “go to” guy when it came to any community activity. His ability to solve problems from cars to computers to the kitchen was amazing. It will take a village to fill the void he has left in the lives of so many who knew and loved him. Besides Trish he leaves a son, Patrick, daughter-in-law Jessica, and granddaughter Hannah. He also is survived by his sister, Rochelle Alexander, and brother-in-law, John of Cocoa Beach, FL., several nieces and nephews, all of whom loved to ski with Uncle Glenn. Glenn’s favorite place was his home in VT where he enjoyed countless hours of fun, food, and family, always proud and happy to entertain family, friends, and friends of friends. Visiting hours will take place on Sunday, October 7, 2018 from 3:00 – 7:00 P.M. at the West Haven Funeral Home, 662 Savin Ave., West Haven, CT.
On Monday morning October 8, 2018, all are asked to meet directly at Saint Thomas More, 268 Park St, New Haven, CT where a Mass of Christian Burial will be celebrated at 11 o’clock. In lieu of flowers, contributions can be made to the Orange Rotary Club Foundation, P.O. Box 894, Orange, CT 06477. 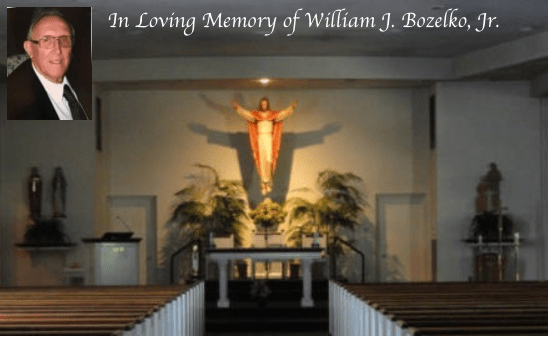 William J. Bozelko, Jr., 84 of Orange, beloved husband and father, passed away on Tuesday, February 27, 2018 surrounded by loved ones, after a long, courageous battle with cancer. He is survived by his loving wife of 57 years, Lucille A. Bozelko and his adoring children Wendy (Peter Hoffman), Wylie, and Whitney (PJ Shanley). Predeceased by his son, William J. Bozelko III. Aside from his wife and 4 children, Bill will always be loved and remembered by his 4 grandchildren, Peter Hoffman, Matthew Hoffman, Caitlyn Shanley and Colleen Shanley, as well as many cousins, nieces and nephews. Born in New Haven on October 24, 1933, Bill graduated from West Haven High School and went on to attend the University of Connecticut. He was a successful builder and entrepreneur in West Haven and surrounding towns. In addition, Bill was involved in many organizations, but among his favorite were judging the Pinewood Derby for the Cub Scouts which he did for many years and being an usher and an active parishioner of Holy Infant Church. He also was a staunch supporter of the UCONN Woman’s basketball team. Throughout his life, he loved to travel and was able to see a vast amount of the world. Most of all, he loved spending time with his friends and family. The family would like to express their gratitude to the many doctors and nurses that cared for him at Yale-New Haven Hospital, Smilow, Orange Visiting Nurse Association, Visiting Angels and VITAS. The compassion and care of these individuals was truly amazing and his loved ones will forever be grateful to them. The hours for visitation will take place from 4:00 to 8:00 p.m. at the West Haven Funeral Home on Friday, March 2. On Saturday morning everyone is asked to meet directly at Holy Infant Church at 10 o’clock for a Mass of Christian Burial. Interment will follow in Orange Center Cemetery. Daniel W. Donnelly, 24, of Orange, left this world too soon on Monday, July 3, 2017. Born in Bridgeport on Sept. 3, 1992, Danny was the cherished son of Robert and Theresa Durso Donnelly. Growing up in Orange, he played baseball and was an avid Yankees fan. He graduated from Amity High School, and his dream was to work in the music industry. He will be remembered for his love of guitars and music and for his favorite band, Phish, which he enjoyed following on tour with the love of his life, Emilee Sousa, the late Joey Ciancola and their many friends. Danny is now reunited with his beloved brother, Robbie, and other family members Tim and Kim Donnelly, John Donnelly and Gerri Marie Durso. Besides his parents, he leaves behind many aunts, uncles, and cousins to cherish his memory, including Patricia Davitt, Kathleen Tillman, Chris, Mary, Paul and Mike Donnelly, Anne Gumersell, Janet Waldman, Mary Ellen and Jack Durso. Visitation will be held on Friday from 4 to 8 p.m. at the West Haven Funeral Home at the Green. Remembrances and prayers for Danny will take place at the funeral home on Saturday morning at 10 o’clock. Burial will follow in Orange Center Cemetery. In lieu of flowers, donations, for the family, will be gratefully accepted at the funeral home. James William “Jim” Maher, 82, passed away on June 30, 2016. Husband of the late Betty Lou McCarthy Maher. He was born on March 15, 1934 in New Haven, son of the late Raymond and Therese Guay Maher. He is survived by his children, James (Tracy) Maher, Jr. of West Haven, Betty (Robert) Sutay of Orange, Susan (Robert) Murphy of Guilford, and Teresa Stewart of West Haven, 11 grandchildren and 15 great-grandchildren. He was predeceased by his brother Norman Maher and his sister Elizabeth “Betty Ann” Maher. Jim worked for CHR for many years prior to his retirement. He loved to play the guitar and sing songs with his wife. One of his greatest passions was playing softball. A Mass of Christian Burial will be celebrated on WEDNESDAY at 11 a.m. in St. Lawrence Church, 207 Main St. West Haven, CT. Interment will be private. 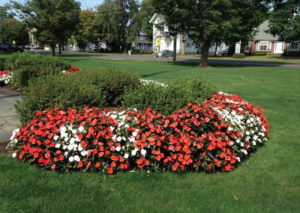 West Haven Funeral Home at the Green in care of arrangements. For online condolences please visit our website at www.westhavenfuneral.com. Dr. Hyung Chan Chung of Orange, Connecticut passed away at the age of 84 on April 26th, 2016 surrounded by his loving family at the Smilow Cancer Hospital in New Haven. Dr. Chung was born in Seoul, Korea. After attending Kyunggi High School and Seoul National University, Dr. Chung served as a lieutenant and instructor for the ROK during the Korean War. He then came to the US in 1954, and subsequently, Dr. Chung received a Bachelor of Architecture and a Master of City Planning from Yale University. In 1970, he earned a Ph.D. in Urban Planning from Columbia University. Dr. Chung served as a professor of Economics in the University of Bridgeport’s College of Business Administration for thirty years, served as Executive Director of the Greater Bridgeport Regional Planning Agency, and founded H. C. Planning Consultants. He performed numerous land use planning, economic impact studies, and school enrollment studies for municipalities throughout New England and New York, the federal and Connecticut governments, the City of Seoul, Korea, and the United Nations. Besides helping state- and city-wide community organizations dedicated to matters of poverty, housing, and unemployment, for many years Dr. Chung volunteered as an advisor to the Spanish American Development Agency (SADA) that served those in need in southeast Connecticut. In 2000, he was honored for his work by becoming the first person from Connecticut to be inducted as a Fellow into the American Institute of Certified Planners. Dr. Chung was widely beloved for his gentle and cheerful nature, and he was the best of fathers: caring, responsible, and a man who loved to make others laugh. He was also a man of many interests. An accomplished cartoonist, as a high school student he published the serial “Travel to Mars” in the Kyung-Hyang Daily Newspaper. He was a talented amateur tenor, performing for the Garry Moore variety television show in 1956 and giving recitals at Yale’s Sprague Hall and many churches. In later years he golfed avidly. He is survived by Jongsoon, his wife of 56 years, their three children Junehee, Kee Young, and Jeanhee, their spouses, and six grandchildren. A memorial service at the New Haven Korean Church, 42 Glen Park Way, Hamden, CT will be held on May 7th, at 11 o’clock. Contributions in his memory may be made to the American Lung Association or Smilow Cancer Hospital, at Yale-New Haven Hospital. Arrangements are in care of the West Haven Funeral Home at the Green. For online condolences visit www.westhavenfuneral.com. Arthur T. Egan, 73, of West Haven, passed away on April 20, 2014, surrounded by his loved ones. Loving and dedicated husband, father, and grandfather to wife Priscilla Mason Egan; daughters, Laura (Henry) Torniero of Naugatuck, Nancy (Neil) Cavallaro of West Haven, and Kathleen (Michael) Shelnitz of Orange; grandchildren, Sarah, Rachel, and Andrea Torniero, Lindsey, Catherine, and Connor Cavallaro, and Katie and Zachary Shelnitz. Arthur was born to the late Arthur J. and Vivian Stuart Egan on April 28, 1940, and was predeceased by his sister, Barbara Suprenant. Arthur was an Air Force Veteran, a lifelong member of the Disabled American Veterans and a member of the Blinded Veterans Association. After receiving his MBA from University of New Haven, he worked as a Blind Rehabilitation Specialist at the VA Hospital in West Haven until his retirement in 2003. Arthur enjoyed going on vacations with his family, working in the yard, and building many items in his workshop over the years. A Memorial Mass will be held at 11 a.m. on May 31, 2014, at Zion Episcopal Church, 326 Notch Hill Road, North Branford, CT, followed by a gathering for friends and family. Funeral services are in care of West Haven Funeral Home. For online condolences please visit the website at www.westhavenfuneral.com. Donations may be made in Arthur’s memory to Smilow Cancer Hospital, c/o Office of Development, PO Box 1849, New Haven, CT 06508; or the Blinded Veterans Association, 477 H Street, Northwest Washington, DC 20001-2694. Beatrice (Bridgett) Cordone, age 89, passed away at home on December 31, 2012. Wife of the late Anthony Cordone. Born in Derby, daughter of the late Augusto and Maria Tonelli Lanci. She is survived by her children Dr. Anthony (Rose Paolino) Cordone of Milford, Peter (Ann Marie) Cordone of West Haven, and Marie (Salvatore) Carrano of West Haven, her grandchildren, Salvatore (Patricia) Carrano, Donna Thatcher, Anthony (Jennifer) Cordone, and Dr. Michael (Rachel) Cordone, her great grandchildren, Jackson, Amanda, Julianna, and Carolyn, and her great great granddaughter Samantha. She was predeceased by her daughter, Patricia A. Anastasio, and her brother, Primo Lanci, and her sisters, Eva Esposito, Adele “Tina” Sandacata, Lena Simonetti, Jeana Mea, Eleanor Murray, and Dorothy Graham. Beatrice was a secretary for the University of New Haven prior to her retirement. Her great joy in life was spending time with her grandchildren, great grandchildren and great great grandchildren, who referred to her as “Nanna B”. The hours for visitation will be FRIDAY from 4-7pm at the West Haven Funeral Home at the Green. Her funeral procession will leave the funeral home on Saturday morning at 8:30 for a Mass of Christian Burial in St. Anthony’s Church at 9am. Interment will follow in All Saints Cemetery. Olga “Bella” Castellazzo, age 93, of Orange passed away on November 25, 2012 at CT Hospice. Wife of the late Arthur Castellazzo. Mother of Arthur J. Castellazzo of AZ and Lorraine Lorenze of Branford. Also survived by her grandchildren Mark Lorenze, Amy DeMarseilles, Nicole Larizza and Lauren Ploeger, great grandchildren Whitney Ann, Paige, Jack, Zachary, Julia, Gabby, Bella, Anna, Evan & Phoebe & her sister, Flora Tomassetti. She was predeceased by her brother, Aldo Bella. Prior to her retirement, Olga was the owner/operator of Crown High Food Shop and worked in sales at the former Edward Malley Company. Visitation will be Thursday morning from 11:00 to 12:30pm at the West Haven Funeral Home at the Green. A Funeral Service will follow at the funeral home at 12:30pm. Interment will be in St. Lawrence Cemetery. In lieu of flowers donations may be made to CT Hospice, 100 Double Beach Rd, Branford, CT. 06405. Marie Libero Gagne, 87, of West Haven died Friday, July 6, 2012 peacefully in her sleep at Connecticut Hospice in Branford. She was the beloved wife of Raoul A. Gagne and loving mother of Paul (Lynn) Gagne of West Haven and Robert (Laurie) Gagne (Chief, Orange Police Department) of Bethany. She was predeceased by a stepson, Roger Gagne. She was the cherished grandmother of Robert Gagne Jr., Melanie Gagne, Morgan Gagne and Brianna Gagne. She was a loving and devoted friend to many. She was born in New Haven on August 20, 1924, daughter of the late Rachel Milone Libero. Her younger years were spent living on Wooster Street with her mother and late brother, Ralph Libero. Her favorite story was that of having dinner on Wooster Street next to Frank Sinatra. She loved sewing, cooking, music, the UCONN women’s basketball team and the beach. She worked for Soundscriber in New Haven (where she met her husband) and later at Mackrille School in West Haven. Visitation will be 9:30-10:30 a.m. Tuesday, July 10 at the West Haven Funeral Home on the Green. A Mass of Christian Burial will follow at 11:00 a.m. at Our Lady of Victory Church. Interment will be in All Saints Cemetery in North Haven. Memorial contributions in her memory may be made to St. Jude’s Children’s Hospital, PO Box 1000, Dept. 142, Memphis, TN. 38148-0142 .